This was photographed stood on the sea of rocks (Felsenmeer in German), a public wood/park located just outside of Bensheim in Germany. Although the rocks appear to have been placed here, according to the internet this had been formed from thousands of years of erosion, however I am not convinced. Anyways, it’s pretty fascinating to see, and it’s surrounded by a forest. 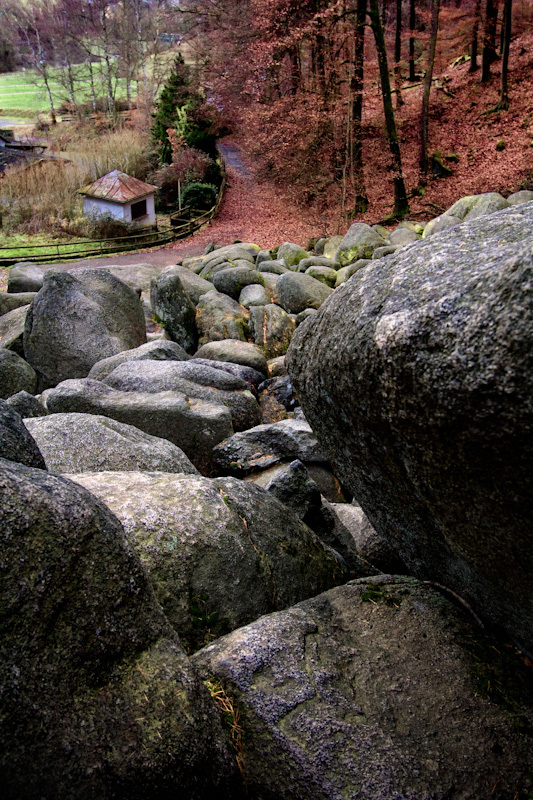 Posted in BlogTagged bensheim, boulders, forest, germany, hills, landscape, landscape photography, photography, plains, rocksBookmark the permalink. Great shot! Love the composition and detail in the rocks.